High internal phase emulsion (HIPE) templating approach, well known for the preparation of macroporous polymeric monoliths (polyHIPEs), was utilized for the synthesis of macroporous cellular interconnected titania ceramic monoliths. In order to derive the ceramic monolithic material from the precursor polymer, titania particles were introduced into the monomer containing emulsion phase. The morphology of the final ceramic monolith closely resembled the precursor polymer composite, featuring a 3D interconnected cellular structure with the first level of pores with an average diameter of 70–100 μm and channels connecting the first level of pores. 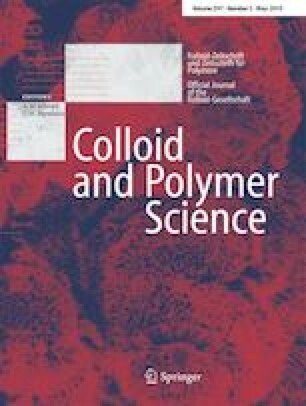 Multifunctional acrylate monomer was used in a combination with photopolymerization for the preparation of composite polyacrylate/titania monolith. The ratio of particles to monomer and the temperature profile of sintering were the most important factors affecting the morphology of the final material. A significant increase in the modulus of the sintered material compared to the porous composite precursors was found. The authors are grateful to Dr. Thomas Koch from Vienna University of Technology for nanoindentation measurements. Slovenian Research Agency funded this research through grant P2-006 and provided scholarship to A.K.